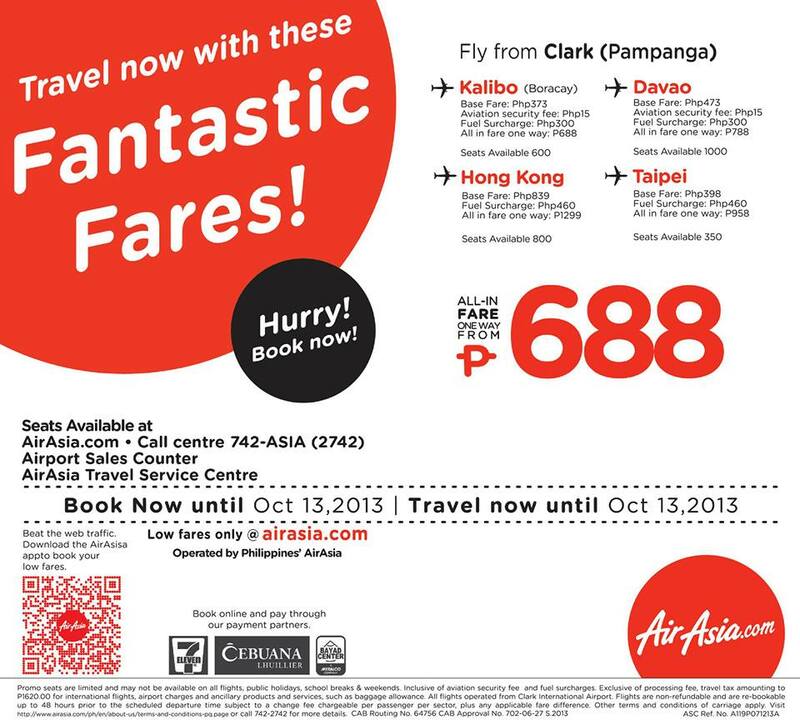 Air Asia Promo Reminder: "AirAsia offers Fantastic Fares for as low as Php 688"
Grab this chance now! Visit Kalibo (Boracay) or Davao or Hong Kong or Taipei! Don't forget to share and like!